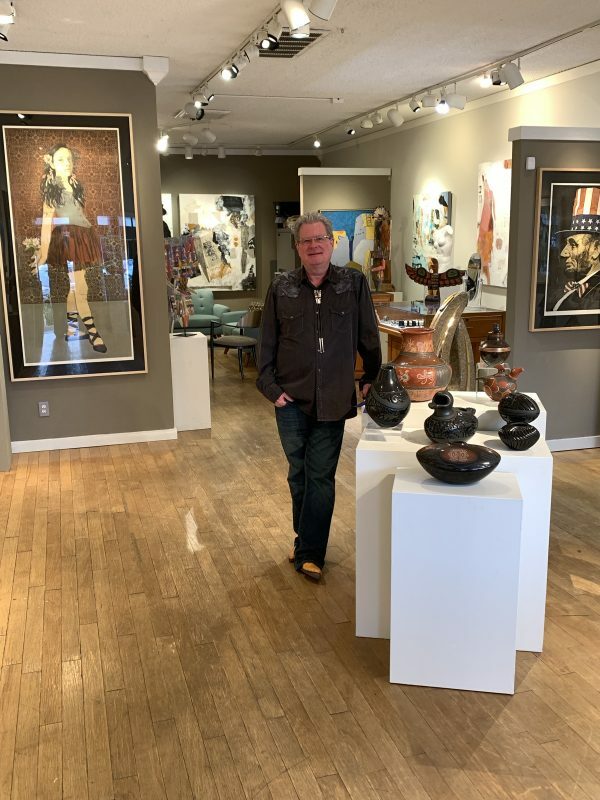 Faust Gallery is one of the leading galleries today that focuses on the highest quality American Indian Art and Jewelry. Beginning in the 1960s, a handful of jewelers transformed what is known as “traditional jewelry” to their finest works of contemporary “wearable art” adored by collectors worldwide. With Faust Gallery’s reputation as one of the leading galleries today that focuses on the highest quality American Indian art and jewelry, this concept is a monogram inspired by Southwest Native geometric designs. © COOCHWYTEWA DESIGNS LLC. ALL RIGHTS RESERVED. 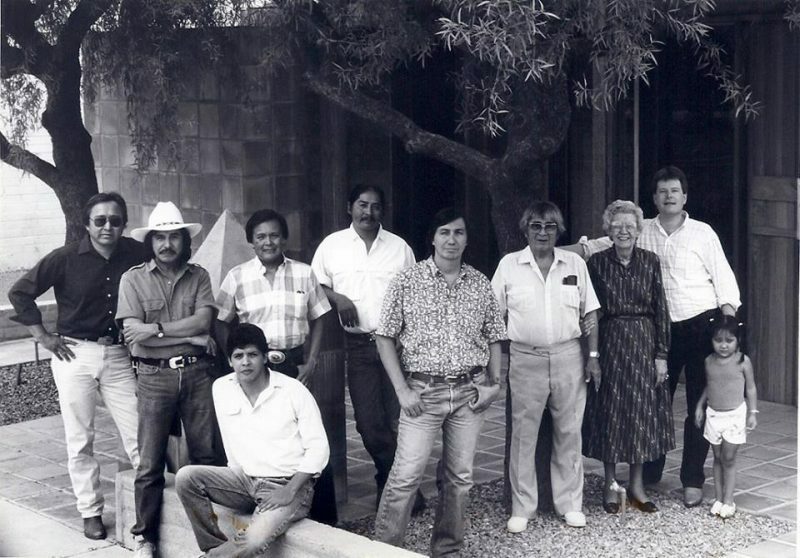 It has been a long summer in Santa Fe and it is that time of year to get the Gallery back open in Scottsdale! We are back open with a great selection of jewelry, Pottery, Intaglio Prints, Sculptor and much more. A lot of people over the years have known me to be mainly focused on Jewelry, primarily because in 2010 I made the decision to down-size the gallery because of the recession. Today, I still represent all the amazing jewelry (wearable art) and jewelers from the past and present and I have found with a better economy people are once again decorating with art and objects to enjoy in their home! In 1981 at the tender age of 23, I started working with my Great-aunt, Lovena Ohl. Lovena carried everything from Jewelry, paintings, pottery to fine baskets and exceptional Navajo weavings from all the great artists including Charles Loloma, Larry Golsh, Harvey Begay, Scott Momaday and his father Al, Tony Da, Blue Corn, Teresita Naranjo, Helen Cordero, Maria Martinez who I meet in 1976. I worked with Lovena up until she died in 1994 and in 1996 I went on to create my own gallery and to this day I continue to carry Lovena’s Love and Knowledge for all the Artist and the art they created. My knowledge of all the arts is extensive and includes all genre”s. So I have been getting the question lately…. why all the wall art, sculpture, pottery, non-native art, etc..
My answer to this question is simple. I have never been just a”Jewelry Gallery”. I have always sold great American Indian Art and on occasion when I find exceptional non-native artists which I think are worthy of your attention I will offer them for your consideration.